Mike Leone putts on the no. 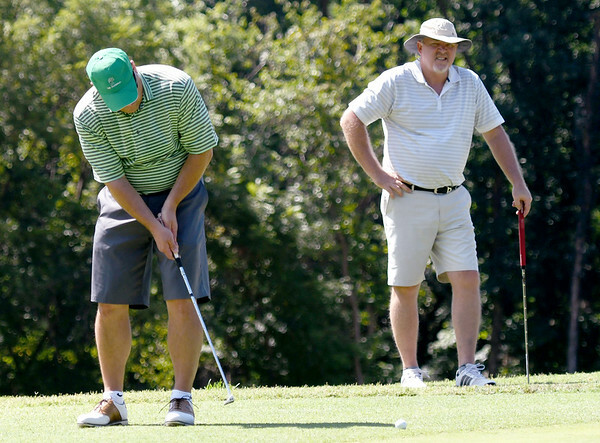 2 green as Bill Curry looks on at Briarbrook on Saturday during the Joplin Area championships. Play continues today at Schifferdecker.